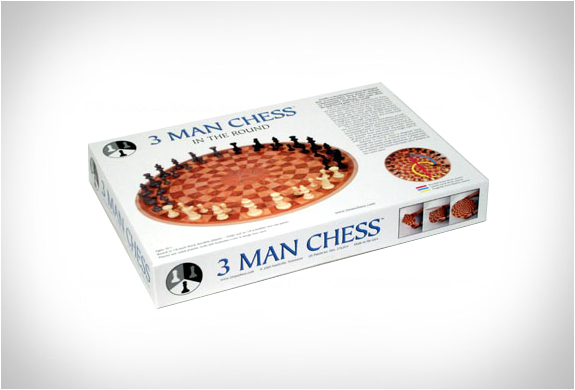 Now here is something different, if you think 2 man chess is a challenge, we present to you 3 man chess! 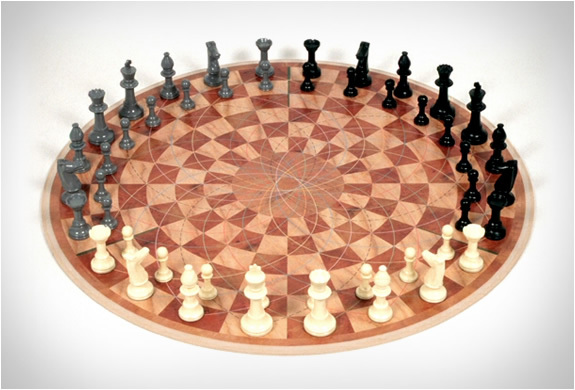 The unique game doesn´t compromise any of the rules, strategy, or fun of the conventional Chess game. All you have to do is follow some protocol issues to maintain order everytime the teams border each other. The complexities of the third player are infinite, a player can be checkmated by a combination of both other players or ultimately one player can checkmate both other players at the same time.